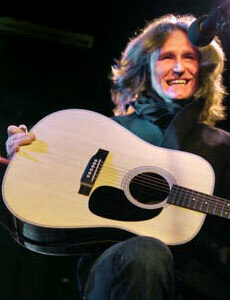 John Waite Biography, Discography, Music News on 100 XR - The Net's #1 Rock Station!!! John Waite was born on July 4, 1955 in Lancaster, Lancashire ENGLAND; it was during the winter of 1975 that the British singer + bass player & songwriter first cut his teeth with The Babys playing gigs on the London scene. This group disbanded in 1981, after five albums and a handful of great songs, such as "Isn't It Time" and "Every Time I Think Of You". After relocating to New York, Waite embarked on a solo career, releasing his debut album, "Ignition", in 1982, it reached the #68 position on the U.S. Top 200 LPs & Tapes chart and its main single, "Change", cracked the top 20 of The Mainstream Rock chart. Two years later he released the breakthrough "No Brakes", which rose to #14 on American Billboard Top 200 chart, lead by an international smash single, "Missing You", which peaked at #1 on The Billboard Hot 100 and reached #12 on The Mainstream Rock chart, the track also hit #9 on the British chart becoming an album-Rock radio staple around the globe; the second album yielded another hit single, "Tears" which soared to #8 on The Mainstream Rock Tracks chart plus the minor hit "Restless Heart". The singer followed-up in 1985 with "Mask Of Smiles", an album which reached a respectable #36 on the U.S. Top 200 chart and generated the Mainstream Rock top 5 hit "Every Step Of The Way" and "Welcome To Paradise", which scraped the lower reaches of The Billboard Hot 100. A year later, Waite contributed the song, "If Anybody Had A Heart", to the soundtrack for the movie "About Last Night"; released as a single, the track entered The Billboard Hot 100 at #76 and made top 30 on The Mainstream Rock chart. His next album, "Rover's Return", was released in 1987, it reached #77 on The Billboard 200 and produced a couple of Billboard's Hot 100 charting single: "Don't Lose Any Sleep" and "These Times Are Hard For Lovers", the latter of which hit #6 on The Mainstream Rock Tracks; the third single, the ballad "Act Of Love", failed to chart. 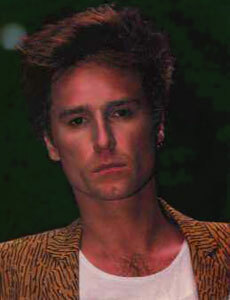 John Waite returned to the top of the charts in the late '80s with the Pop-Rock super group Bad English, the band boke-up after two albums, in 1991. That same year, the singer resumed his solo career with a single called "Deal For Life", this excellent power ballad became part of the soundtrack for the Tom Cruise movie "Days Of Thunder". Four years later, he had a new Billboard's Hot 100 chart hit with the ballad "How Did I Get By Without You", the song was included in his fifth solo effort, "Temple Bar". In September 1997 was released "When You Were Mine", but this album was completely ignored. Waite resurfaced, nearly four years later, with another disappointing album titled "Figure In A Landscape". With his voice in fine form, he would release "The Hard Way" in the fall of 2004, the album included the Adult Contemporary top 30 hit "New York City Girl". "Downtown Journey Of A Heart", issued through the Italian Frontiers label in July 2006, is a collection of new recordings of John Waite's greatest hits, including a duet with Alison Krauss on a new rendition of the unforgettable "Missing You" plus re-recordings of other songs Waite made famous such as The Babys' "Isn't It Time" and Bad English's "When I See You Smile"; he also adds the sweeping ballad "St. Patrick's Day". January 2011 found the veteran British singer + songwriter release "Rough & Tumble", his latest studio album recorded partly in Nashville and wrapped up in Los Angeles with the members of his touring band. The 12-song set includes the single "Shadows Of Love".